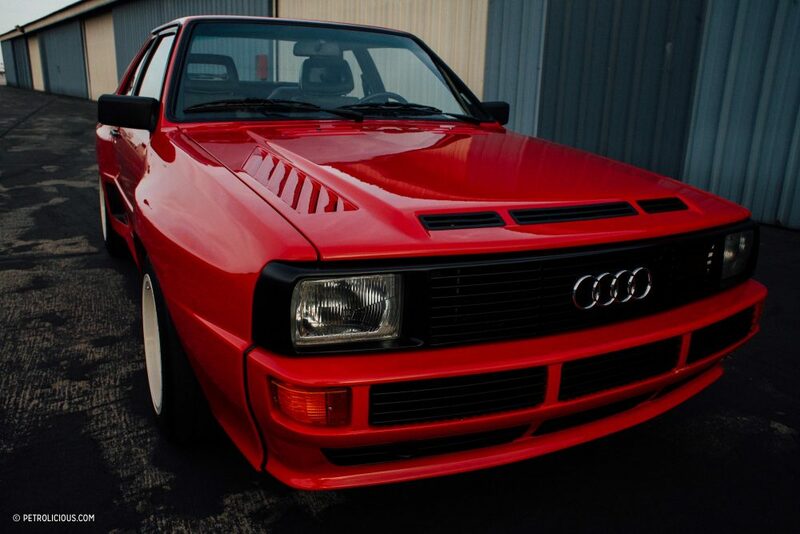 Featured: This Is What Life Is Like With An Audi Sport Quattro In The U.S. 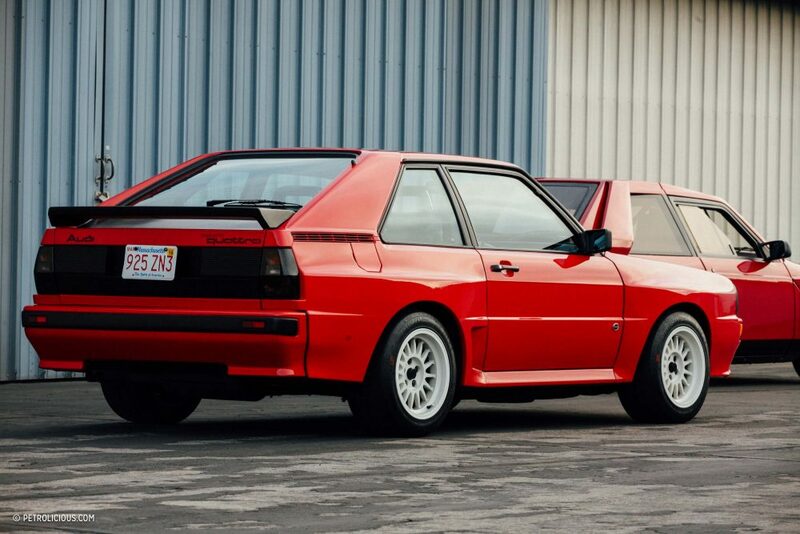 This Is What Life Is Like With An Audi Sport Quattro In The U.S. Since joining Petrolicious my weekends have largely been a dreamscape of canyon carving and coffee drinking up and down California’s coastline. Consistently I’ll bump into other car guys, chat about what each other does to fuel our respective automotive addictions, at which point I tell them that I get to work on a little old classic car magazine during the week. Without fail they’ll ask me what kind of cars everyone loves to see. Each time my answer is the same: Anything Group B. Last week our friend Tim Pappas opened his garage to show us his glorious RUF CTR Yellowbird, at which point we noticed a box flare silhouette poking out from under a car cover. “Oh that? That’s my Sport Quattro.” Tim explained. So naturally, I had to ask him about it. 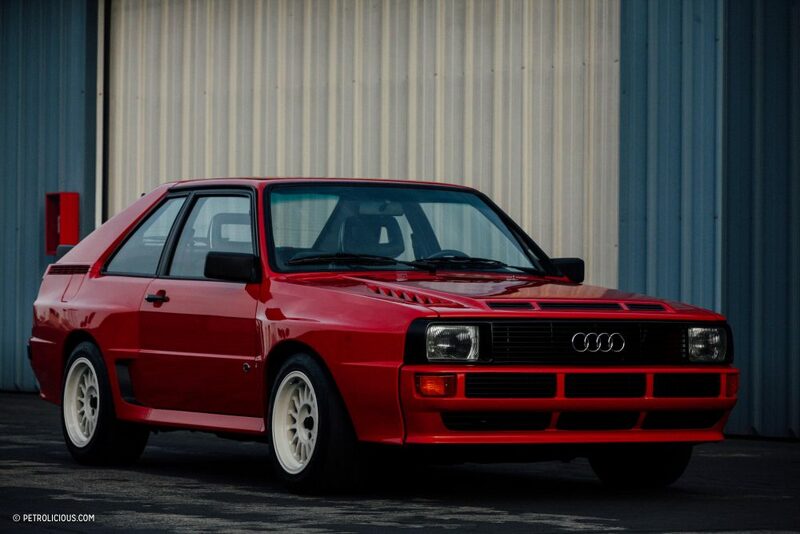 Ted Gushue: Tell me the story of your Audi Sport Quattro. TP: I just thought it was the coolest thing. 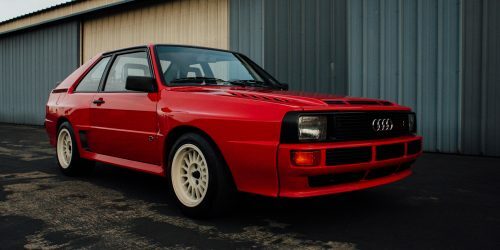 You did not think in those days that Audi meant performance in the U.S., because it didn’t really do a ton of promotion for what it was doing with the World Rally Championship and all that. 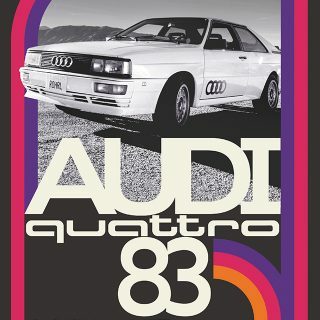 The quattro all-wheel drive thing was cool, but you never really thought about Audi as a performance car. It was a practical German sedan that was good in the snow. They were popular in Connecticut where I grew up, and I thought that they were just kind of lame. But then I saw this car and the specs for it, and I wanted this car. 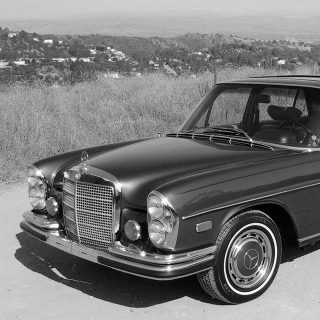 Of course, I did the Deutsche Mark conversion on the price and it was twice as expensive as a Porsche 911 Turbo. TP: I cut that side bar out and it was on a cork board above my desk with pictures that I clipped of magazines, so up there would have been the Ruf “Yellowbird”, the Porsche 959, the Ferrari GTO, that Sport Quattro, Lamborghini Countach…I mean all kinds of things that I absolutely lusted after when I was whatever, thirteen, fourteen, fifteen, sixteen, all the way up until I moved out. My mom sold that house when I was about nineteen or twenty, and the photos were still up on the board. 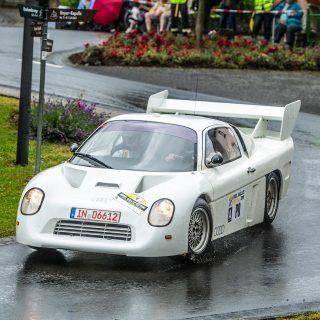 I built a Tamiya model car of it and of the 959, and of a bunch of the Group B cars. 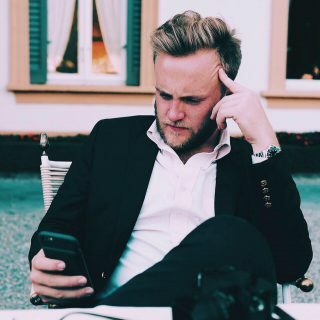 It just stuck in my mind and in 2012, I finished a deal and it was like, “I want to buy a cool car,” and I started thinking about stuff that was interesting and, of course, most of what I wanted at that point in 2012, the prices were all crazy. 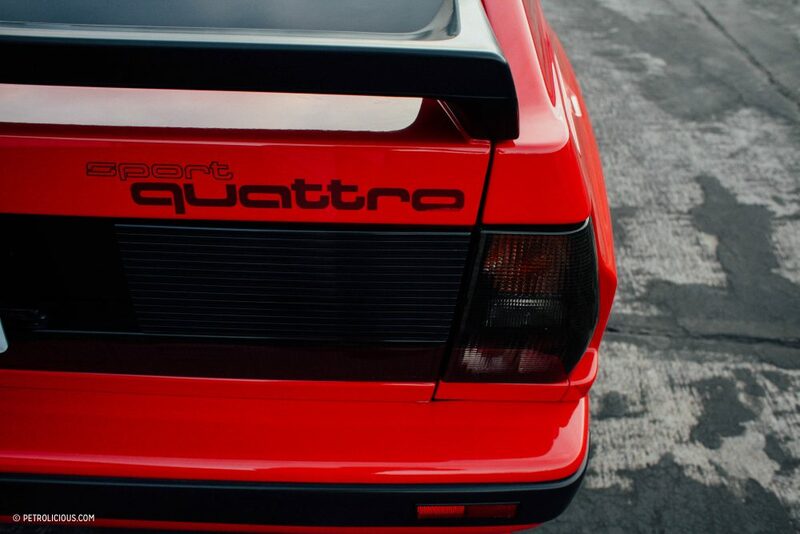 Everything had just run up in value, but nobody really had thought about the Sport Quattro. It was still not an insanely-priced car, and I mentioned it to a friend of mine, who’s a car broker, and he said I saw a really nice red one at Pebble Beach a couple years ago and somewhere I’ve got the guy’s contact information. We kind of cold-called this guy and said, “Hey, would you consider selling it?” He said, “Yes,” and we arranged a price. This car was in a car collection in the Pacific Northwest of a guy with a very modest garage, I think he had a 356 Porsche and this, so two cars. He took really good care of it, and he really loved it, and he really appreciated it. He hated like hell to sell it…and I think he knew that he was probably selling it early. TG: What’s the peak market on this particular car? TP: The high-water mark right now is $450,000. I became friends with this guy and we started talking about it. 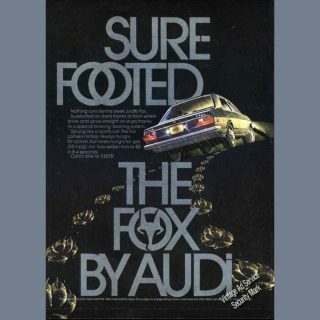 He sent me some great Audi ephemera; he was a real aficionado of the car, which I appreciate. He created a document that’s in the glove compartment that has a list of every one of the chassis with what color it was, and where it was originally delivered, so he had a really good record of all of these cars. 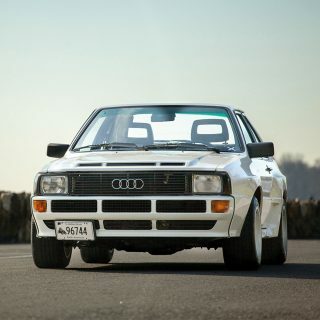 He was very much into the Sport Quattro and what it stood for, and is active in the Audi Club. This car is pretty well-known because he would bring it all of the Audi events and he drove it down from Portland to go to Pebble Beach. The first time I drove it, it reminded me of driving an early 911 Turbo. I have an ’84 grey market 930 and it feels a lot like that. 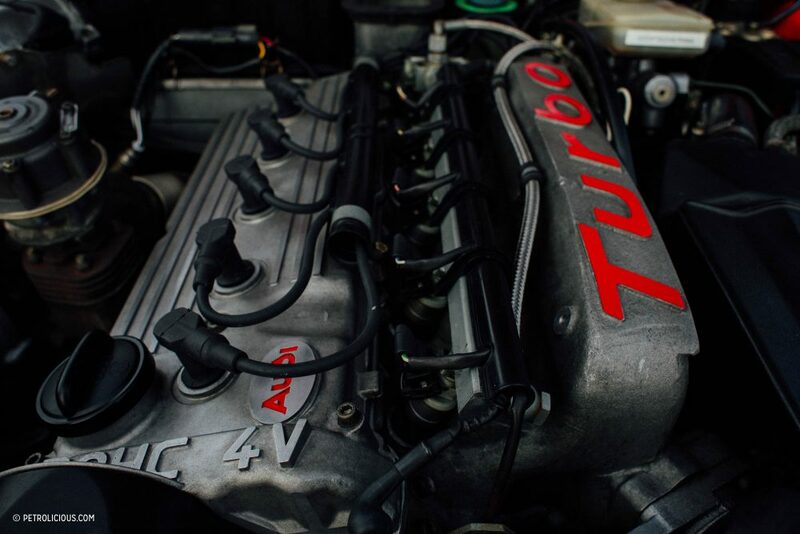 My particular version has been modified, so it’s a lot faster, but when I first got it with 300 horsepower and mega turbo lag, it has that same feel. 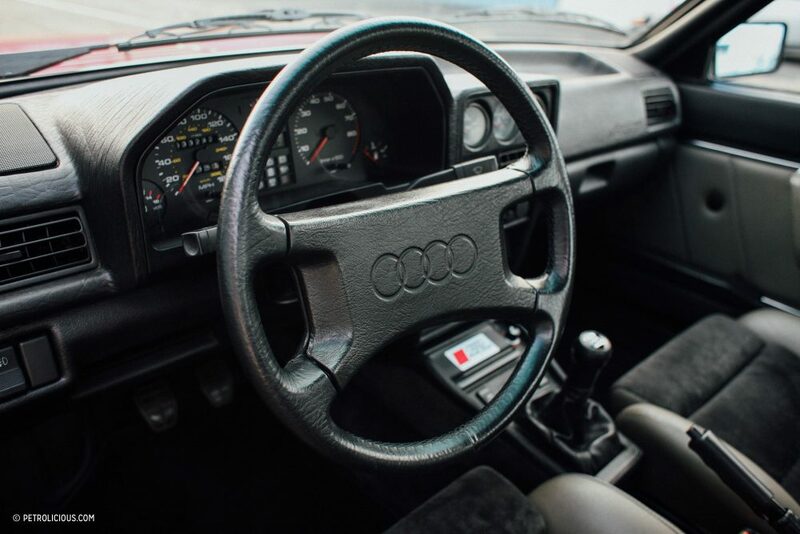 The Audi has a perfectly civilized manner, like a Volkswagen that you would imagine from this particular era, then you put your foot down and there’s nothing and then at about 4,500 rpm, the turbo kicks in and it feels just like the 911 Turbo. It has that German jet engine sound. It doesn’t have a gravely, obnoxious sound. It’s just really refined. TG: It felt incredibly smooth to me. TP: It’s just very refined and lovely to drive. It has plenty of ground clearance at the front and back, so you’re not stressing going in and out of driveways. Most of the body panels are composite and bonded onto the unibody, so it actually won’t get dinged. A door just bounces off the side of it, so it’s practical in that sense, too. If you look inside and see how the rear bench is made: they literally sawed half the rear bench off a production Audi Quattro and stuck it in the car. Even with the seats moved forward, nobody can sit back there. My four-year-old can not even sit on the rear bench. 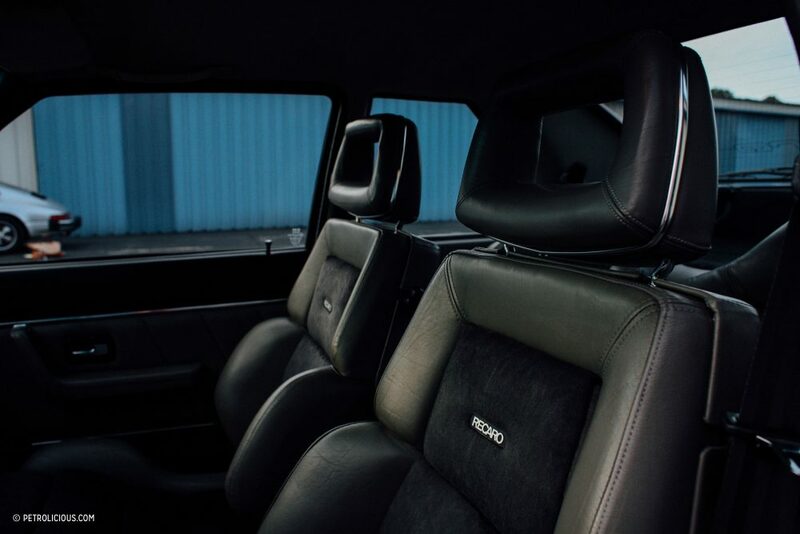 They took a section out of the rear of the car to build the street car, then they thought, “Well, we’ve got to put a leather interior in it,” so it’s got the great Recaro driver seat and passenger seat, but it’s more or less a two-seater. They could’ve just put a package shelf there and been done with it…but instead they put the trappings of a four-seater, even though it’s clearly not! I think 13 Sport q’s were imported here to North America. Not counting the factory rally cars that came and went. Now can you go back and ask him about the Lancia Delta S4 parked in front of the Sport quatro in one of the pictures. Saw this Audi Quattro in Carmel, California back in 2012. Not sure if it’s the same car of these pictures. Wonderful machine anyways! Lovely Sport and happy to see one overseas, nice article! Also in Europe very difficult to find one on the road. What a fantastic machine.. love it it. Oh, and is that S4 Stradale that I’m catching the glimpse of? Mother of god this thing is ugly. And that’s kind of precisely the reason why I love this car so much. Quick note – this isn’t part of some massive collection, Tim has a handful of cars that he drives aggressively and often – I know, I’ve been in most of them. He’s also the guy behind Black Swan Racing, the 2010 ALMS GTC Champion team. Next up we’ve got Tim’s S4 Stradale…which is just unreal. it’s ok Ted don’t bother about GS, he likes to be negative about everything….. see the garbage he wrote about the two Alpine re-launch features! He always knows best ….. in his little world anyway. The Sport Quattros are very well known in Europe and epic.